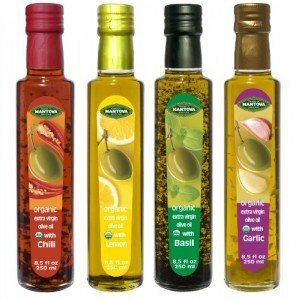 For herbs flavored Italian extra virgin olive oil lovers, the Mantova garlic, basil, chili, lemon organic extra virgin olive oil gift set would be a fantastic gift to receive. This organic olive oil infused with herbs set is also a great housewarming gift for those who love to cook. Made with olives grown in Italy as well as pressed and bottled in Italy too, this organic extra virgin olive oil package comes with 4 different herbs infused in the oil. These garlic, basil, chili and lemon flavored oil are each packed in an 8.5 oz. bottle. 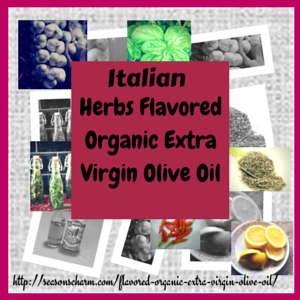 Give your pasta, pizza, salad, macaroni, baked chicken or fried noodles the extra kick and taste with these delicious tasty flavored infused oil. Instead of butter, use these extra virgin olive oil herbs dip instead when having bread during meal times. It is healthier too. And it is also addictive, you”ll be asking for more! What a fast, convenient and tasty way to add extra flavor and aroma to your meals indeed. And what a tasty gourmet housewarming gift for new owners!